Interested in working on a cruise ship? 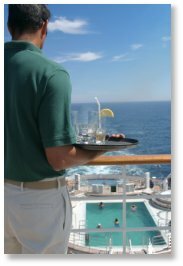 We’ve put together a detailed list of resources to learn more about working as part of a cruise ship crew. Make sure the people in your past are helping, instead of hurting, your chances for a new job. When Allison & Taylor checks your references, you find out what they’re saying, via professional and legally-accepted reports, securely accessible to you at any time.